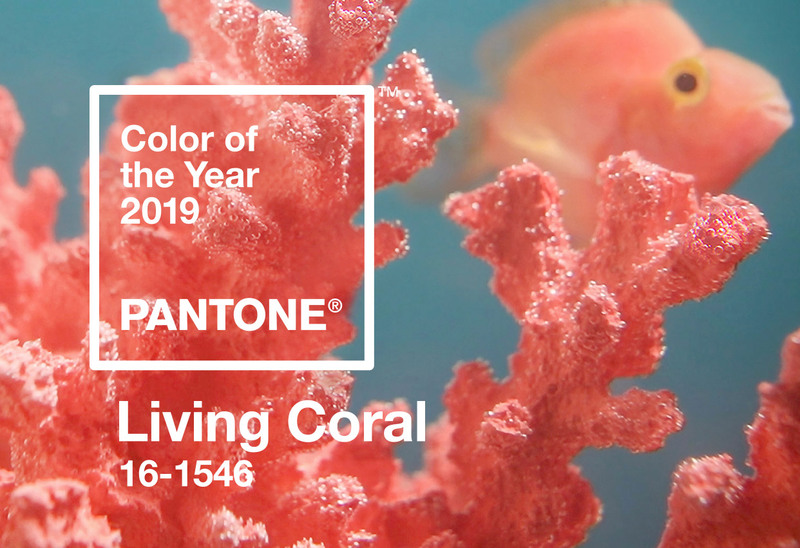 ‘Living Coral’ is the ‘Colour of the Year’ from Pantone for 2019. Fashion and home furnishings are sure to be influenced by this energizing shade and a wonderful place to incorporate this gorgeous colour is in your garden. Vibrant yet mellow with golden undertones, ‘Living Coral’ is a shade that often appears in our natural world. We see it in summer sunsets, plants and wildlife, but this colour also reminds us of the diversity of life amid coral reefs in the ocean depths. ‘Living Coral,’ as a shade, can connect us to nature, soothe us with warmth and encourage a relaxing pace in a continually shifting world. It has a lively presence that can inspire and revitalize our imaginations. In the garden, ‘Living Coral’ plays well off natural greens, as well as grey-blue and chartreuse foliage. Bring in pops of the colour to work with other garden plants and discover its versatility. It creates wonderful contrast with last year’s chosen shade: ultra-violet. To help blend ‘Living Coral’ into your outdoor spaces, here are some selections and ideas. 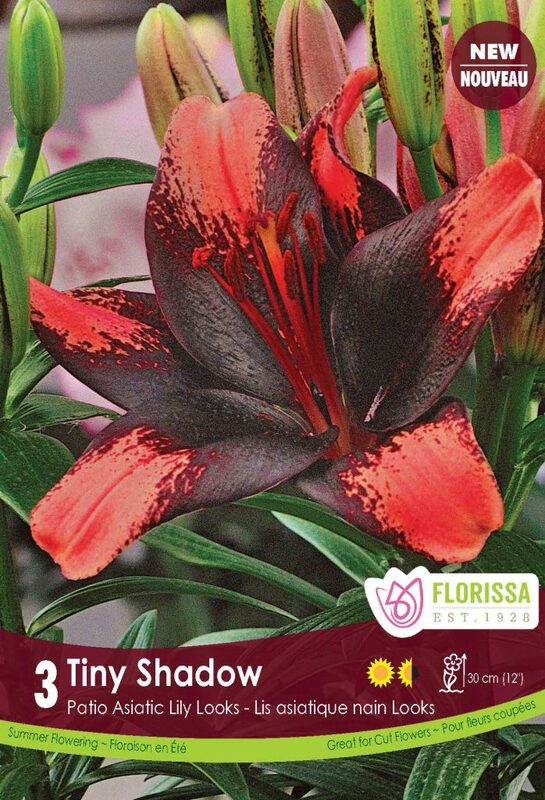 Lilium ‘Tiny Shadow’ is a dramatic addition to the garden with its stunning colour combination of sunset coral with dark maroon centres. A Lily Looks™ variety, this is one of a new generation of Asiatic Pot Lilies with higher bud counts which means more blooms to enjoy. Even better, ‘Tiny Shadow’ is compact, growing 30 cm (12”) tall making these plants ideal for containers as well as the front of the mixed border. Anticipate 6-8 flowers per stem just 8-9 weeks from planting. They’ll bloom this season and every year, putting on a great mid-summer show. Hardy to Zone 2. Among the first peonies to bloom, ‘Coral Charm’ is of exceptional beauty with large, semi-double blooms. Deep coral buds reveal layer upon layer of gracefully incurved petals in glowing coral-pink with a golden yellow centre. These fragrant bowl-shaped blooms make excellent, long-lasting cut flowers. An American Peony Society Gold Medal Winner, ‘Coral Charm’ thrives in full to part sun and well-draining soils, growing to 100 cm (40”) in height. Long-lived, peonies are deer resistant peonies and low maintenance. Plants can take a year to establish in the garden, and while they may not flower the first year, these gorgeous blooms are definitely worth the wait! Hardy to Zone 2. 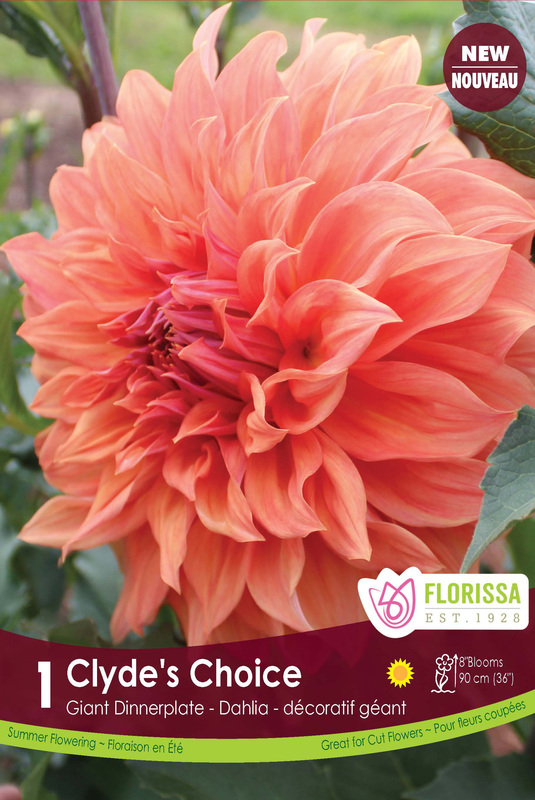 Easy to grow Dahlia ‘Clyde’s Choice’ is a must-have for this summer if you love cut flower bouquets. The magnificent fully double coral orange blooms at least 20 cm (8”) are simply amazing and you will be anticipating each and every bloom. Long, strong stems, from a sturdy plant make them excellent for cutting. Once dahlias begin blooming in mid-summer, they bloom continuously until the first hard frost in the fall. Plants grow to 90 cm (36”) in height, enjoying full sun and well-draining soils. Grow ‘Clyde’s Choice’ alongside Dahlia ‘Bluetiful’ for dazzling summer bouquets with eye-popping, contrasting colours. Dahlias are tender summer bulbs, so you will want to dig and store them in the fall. 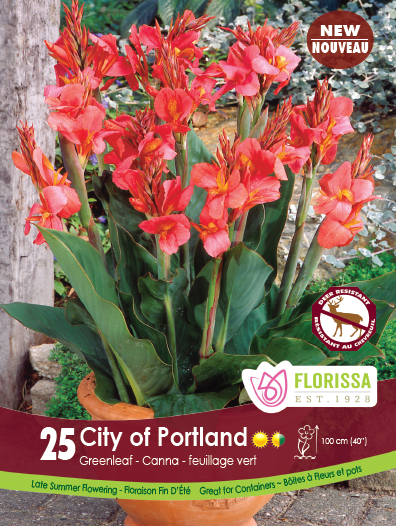 Bring ‘the island life’ into your garden with the lush tropical green foliage and profuse, glowing coral-pink blooms of Canna ‘City of Portland.’ This popular variety is considered one of the best dwarf canna lilies. Easy to grow in full sun area, in rich, moist, well-draining soils. Plant cannas in containers on the patio or balcony or let them capture attention in the mixed border. They’ll bloom from mid-summer to fall. Their upright branching stems add vertical interest, and a row of 3-4 plants can act as a natural screen. ‘City of Portland’ grows 100 cm (40”) tall. Deer resistant, cannas also attract butterflies and hummingbirds. Cannas tender summer bulb, so you will want to dig and store them in the fall. Hemerocallis ‘South Seas’ – a daylily with the best coral shades – sparkles and enlivens mixed borders and large containers. Huge 10 cm (6”) blooms of coral tangerine with a reddish band and yellow throat have smooth rounded petals and beautifully ruffled edges. 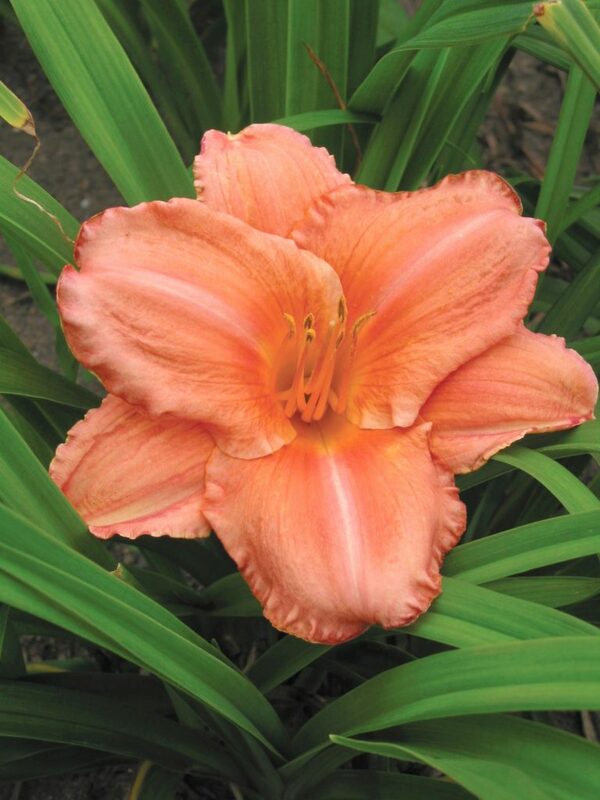 This premium daylily is a fragrant re-bloomer too. Daylilies are often considered the perfect perennial with their showy blooms, heat and drought tolerance, adaptability and low maintenance. Plant this sumptuous daylily among sun tolerant hostas such as Hosta ‘Blue Angel’ or Hosta ‘Guacamole.’ Hemerocallis ‘South Seas’ grows 75 cm (30”) tall. Vigorous and hardy to Zone 2. Allium ‘Mount Everest’, Iris germanica ‘Victoria Falls’ and Lupine ‘Gallery Blue’ make wonderful plant companions for Paeonia ‘Coral Charm’ as these plants all bloom during the same time period: late spring to early summer. They’ll provide nourishment for pollinators at a time when spring tulips and daffodils have finished blooming, and the main event of summer flowering has yet to begin. Win a $1000 Gift Card! 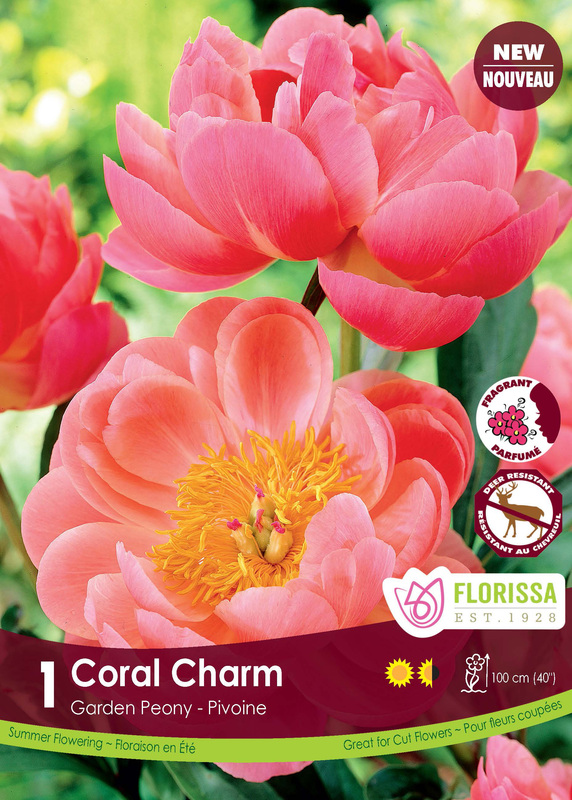 Florissa is Canada’s Best Source for Flower Bulbs, Perennials, Roses, Small Fruits and Vegetables. Keep up to date with the latest gardening tips, trends and information delivered right to your inbox!